George Lucas, John Williams, Harrison Ford, and Mark Hamill are the names most often associated with Star Wars. 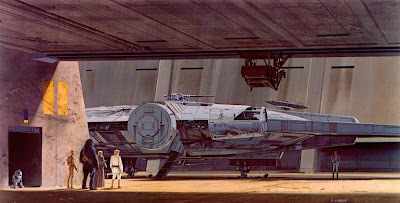 But the one wizard who left as big a thumbprint on the Star Wars universe as anyone was concept artist Ralph McQuarrie. Mr. McQuarrie designed everything from the hamburger-shaped Millenium Falcon to its seven foot walking carpet of a copilot. 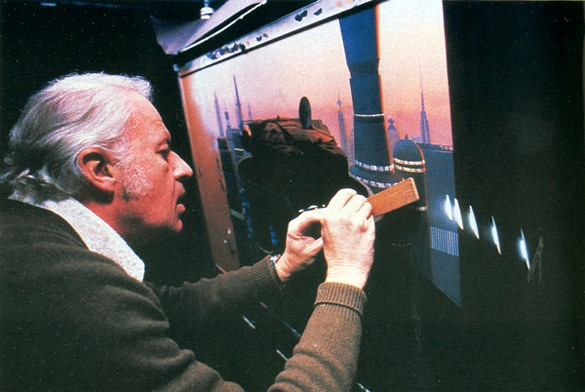 Any artist would be happy to create half as many iconic images as Mr. McQuarrie. I, for one, will never walk through a forest without imagining one of Ralph's Imperial Walkers chasing a family of Ewoks through a cluster of sequoias. Here's to Mr. McQuarrie, and the wonderful world he created for us in a galaxy far, far away. 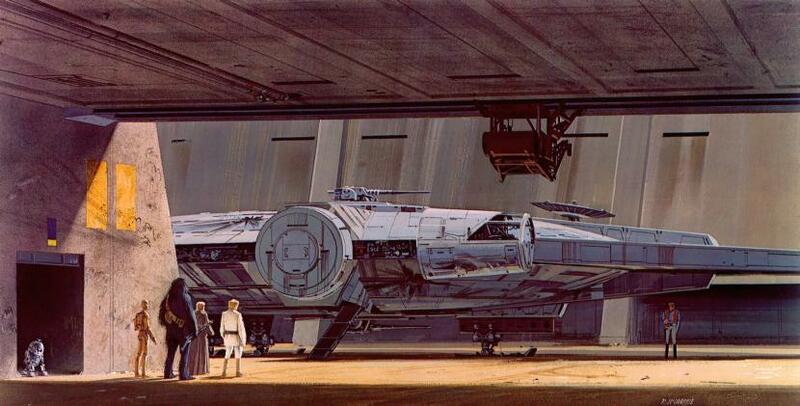 As a kid I spent hours pouring over Mr. McQuarrie's art work. My favorite being the iconic painting of Luke (wearing a respirator) in a light saber duel with Vader. Rest in Peace. Great post! These paintings are stunning! The Endor one I think is my fav of the bunch!